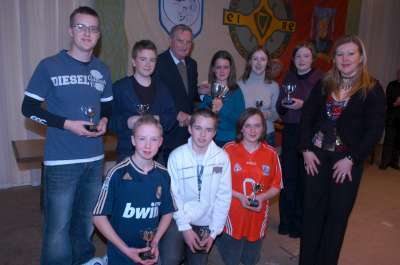 Millstreet swept to a double success in the Co. Scór Sinsir Finals in Ovens. 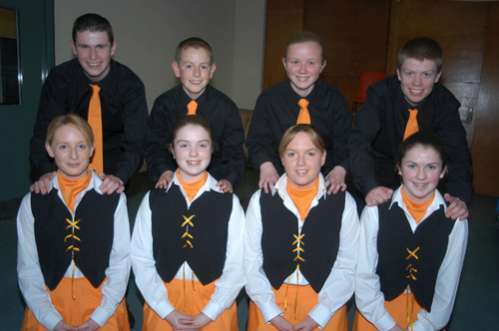 A Set dance team of Gretta Lane, Elaine Cleary, Daphne O’Connor, Ciara Hickey, Sinead Flahive, Laura Lynch, Daniel Roche and Shane O’Riordan performed the Sliabh gCua set to regain county accolades. Millstreet added a win in the question time from a team of John Tarrant, Liam Flynn and Pat Sheehan. Also competing for Millstreet was Jerry Doody in recitation while Jerry teamed up with Cian O’Mahony in novelty act. Also faring well at instrumental music were Bridelle Cronin, James Linehan, Alex Ryan, Billy Cronin and Darren Kiely. Competing in the Ballad Group were Sarah Dennehy, Bridelle Cronin, Muireann Buckley, Leanne Smith and Niamh Sheahan while a question time team of Darren Kiely, Colm Fraser and Conor Twomey participated. 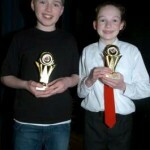 Individually, participants included Billy Cronin at solo singing and Chloe Collins in recitation. 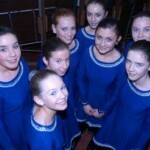 Cloughoula National School were represented with Caroline Murphy in both solo dance and solo music. 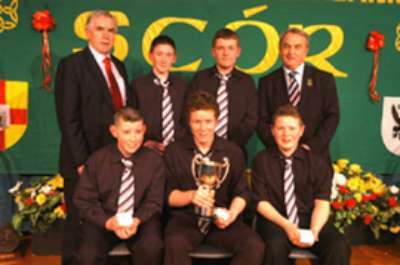 Hopes of national honours in the All Ireland Scor na nOg Finals in Athlone were dashed on a brave Millstreet effort denied in the Novelty Act, succumbing to overall winners Mountbellew Moylough of Galway. The Millstreet cast members featured Laura Dennehy, Donal Linehan, Conor Linehan, James Linehan, Diarmuid Fraser, Emma Hickey, Neidín Spillane and Kelly Murphy. Well done to all involved on serving up terrific entertainment enroute from divisional, county, provincial and All Ireland levels. Congratulations are extended to Boherbue on lifting ultimate honours in the instrumental music class and maintain Cork’s winning sequence in the category. Millstreet participate in the Cork County Senior Scor finals in the Eire Og GAA Pavilion, Ovens on this Sunday commencing at 5pm. 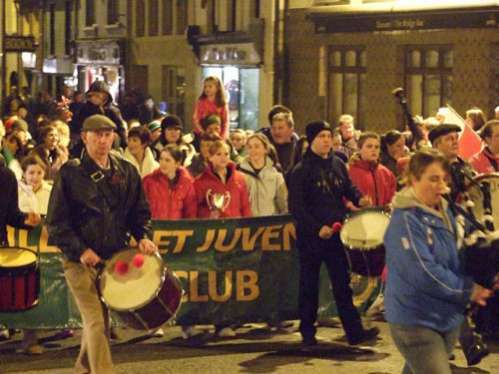 Millstreet supporters take the trip to Athlone this Saturday on the staging of the All Ireland Scór na nÓg Finals. Teams from Millstreet, Boherbue and St Catherines take to the stage of the famous John McCormack Memorial Hall in search of ultimate honours in the hotly competitive national finals. 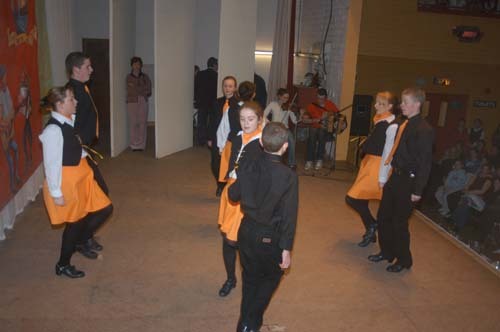 Promoting the cultural wing of the GAA, the diverse programme of music, song, dance to novelty act draws participants from all four provinces. Cork seek accolades on an impressive involvement with Millstreet offering a competent showing in the novelty act category per a cast of Laura Dennehy, Donal Linehan, Conor Linehan, James Linehan, Diarmuid Fraser, Emma Hickey, Neidín Spillane and Kelly Murphy. 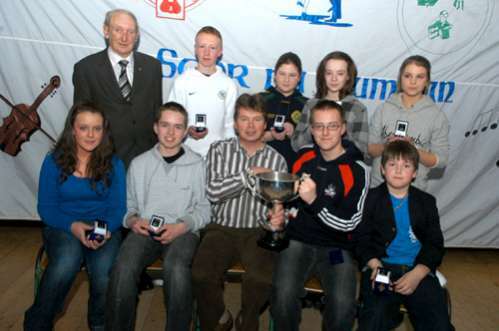 In the long thirty nine year history of Scór na nÓg, Cork have taken just two titles in novelty act. 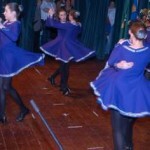 Millstreet will be keen to add to the record and in doing so, Millstreet endeavour to repeat the success attained by its set dancers last year. Every success are extended to Millstreet in their pursuits with best wishes also to Boherbue and St Catherines in their quest for All Ireland accolades. 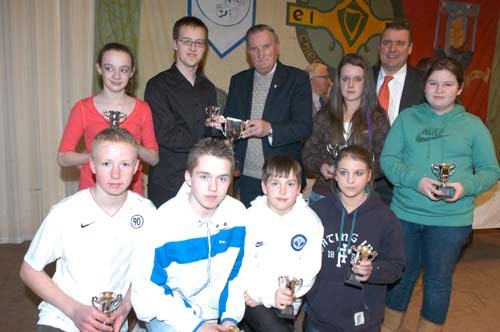 Millstreet hosted a semi final to the Duhallow Scór na bPaistí last Sunday in the presence of a large attendance. Faring well at instrumental music were Bridelle Cronin, James Linehan, Alex Ryan, Billy Cronin and Darren Kiely. Likewise enjoying success were a Ballad Group of Sarah Dennehy, Bridelle Cronin, Muireann Buckley, Leanne Smith and Niamh Sheahan with a question time team of Darren Kiely, Colm Fraser and Conor Twomey also advancing. Millstreet continued on their successful ways at set dancing per a team of Aine McAulliffe, Leanne Murphy, Jessica Duinne, Kate Buckley, Conor Twomey, Darren Kiely, Patrick Cotter and Oisin Murphy. Chloe Collins in recitation. Cloughoula National School were represented and advancing to the next stage is Caroline Murphy in both solo dance and solo music. 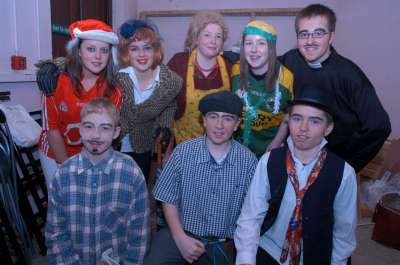 The Duhallow finals take place over two stages, the recitation and novelty act goes ahead in Lismire on Friday, February 27 with the remainder of the programme confirmed for Friday, March 6 in the Edel Quinn Hall, Kanturk. 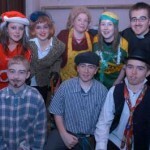 Millstreet’s stage talents cloaked themselves in glory in the Munster Scór na nÓg Finals hosted in Mallow last Sunday. Brillant talent took to the stage with gusto as competing teams featuring the province’s foremost cultural fare in music, song and dance sought eagerly sought honours. 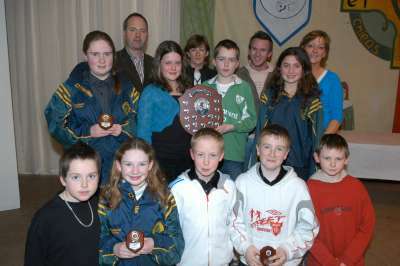 Cork teams continued their positive run of successes with Millstreet completing a merited victory in the Novelty Act to follow up on their previous win from 2003.
attendance in their portrayal of the famine days that at the finish earned the applause of a highly impressed audience and adjudicating panel. 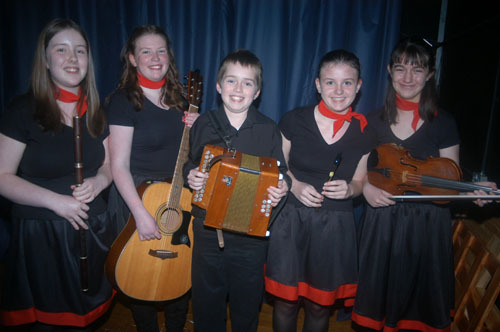 Both Millstreet Novelty Act, the Boherbue groups and St Catherines progress to represent Cork in the All Ireland Scór na nÓg Finals in Athlone on Saturday, February 21. 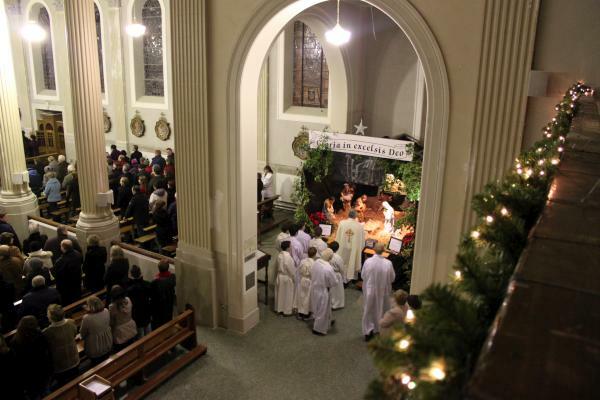 Mallow on Sunday, January 19. 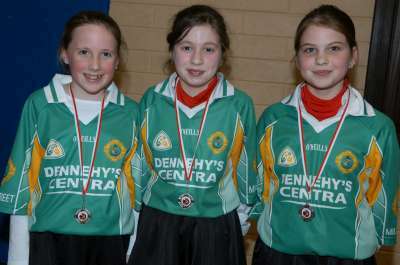 Emma Hickey, Neidín Spillane and Kelly Murphy. Millstreet gathered a terrific win in the Cork County Scór na nOg Finals hosted in the Eire Og GAA Pavillion, Ovens last Sunday. Clubs from across the county participated in the showpiece decider and the capacity attendance enjoyed quality fare in the culturally strong proceedings. 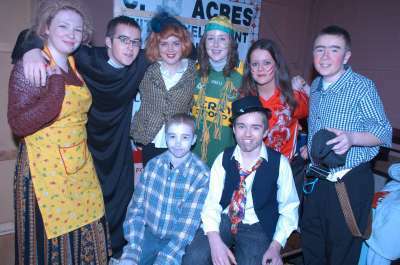 Millstreet retained their county title in the Novelty Act category. Earning success for Millstreet were Laura Dennehy, Donal Linehan, Conor Linehan, James Linehan, Diarmuid Fraser, Emma Hickey, Neidín Spillane and Kelly Murphy. Their sketch titled “Ship of Tears, Ships of Hope” won favour from the adjudicating panel. In solo singing, Maura Buckley took runner up position. The triumphant Millstreet novelty act go forward to represent Cork in the Munster Scór na nOg semi finals in Cappoquin on Sunday with a full programme underway at 2.30pm. 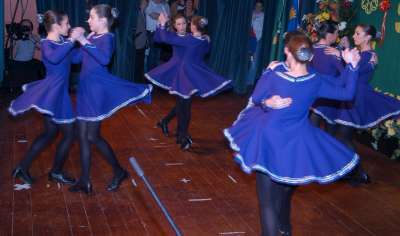 County champions from Cork, Tipperary and Waterford compete in a mixed schedule of dancing, music, song, recitation, novelty act and question time. 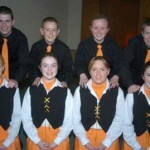 Millstreet set dancers basked in glory to reap outright victory in the All Ireland Scór na nOg Finals hosted in Athlone on Saturday night. In doing so, Millstreet added another glorious chapter into its history books after a brilliant performance in a hotly contested showpiece decider before a full house. After dominating divisional and county levels over the past decade, Millstreet fulfilled its promise to collect a Munster title for the first time last month. That allowed Millstreet and a Cork team enter new ground on representing the province in an All Ireland final at set dancing. It came right on Saturday last and before their legion of supporters, Millstreet bounced into the limelight to enjoy outright success from a team of Allanah Barry, Leanne Daly, Kayleigh Sheahan, Aideen Buckley, Emer Twomey, Muireann Murphy, Orla Kiely and Regina Lane. 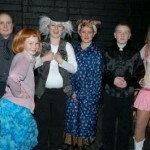 Their presentation of the Cavan Reel swept the boards much to the satisfaction of all concerned. The patience and loyalty of team coach Breeda Cremin ensured Millstreet reached the promised land of All Ireland accolades. 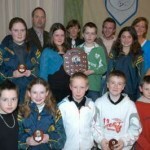 A huge home coming greeted those associated with the Millstreet win at a reception on Sunday night. Bonfires blazed on the Mallow approach road before Millstreet Pipe Band led a parade from Colemans to Millstreet GAA Community Hall. 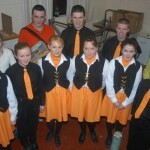 And there was a special welcome too for the successful Boherbue Instrumental Music group. 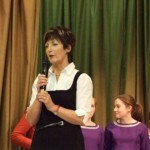 There was a special salute for team coach Breeda Cremin, the mainstay behind set dancing in Millstreet over the years. For her contribution, Breeda received a special presentation from James Linehan representing Millstreet Comhalthas Eireann. 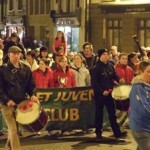 Millstreet supporters trek to Athlone this Saturday on the staging of the All Ireland Scór na nÓg Finals. Teams from Millstreet, Boherbue, Carrigaline and Dungourney take to the stage of the famous John McCormack Memorial Hall in search of ultimate honours in the hotly competitive national finals. Cork seek accolades on an impressive involvement with Millstreet offering a competent showing in the exciting set dancing category per a dance troupe of Allanah Barry, Leanne Daly, Kayleigh Sheahan, Aideen Buckley, Emer Twomey, Muireann Murphy, Orla Kiely and Regina Lane. 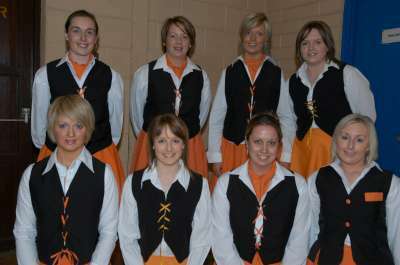 In the long thirty six year history of Scór na nÓg , Cork have been represented at set dancing thus Millstreet seek to earn the first national title for the county in this discipline. As part of their progress to the All Ireland final and help to defray expenses, a successful coffee morning met with an overwhelming response last weekend in Millstreet GAA Community Hall. Every success are extended to Millstreet in their pursuits with best wishes also to Boherbue, Carrigaline and Dungourney in their quest for All Ireland accolades. 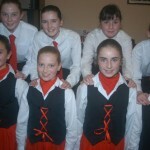 Well done to Maura Buckley on participating in the County Scór na bPaistí finals in Ovens last Sunday. 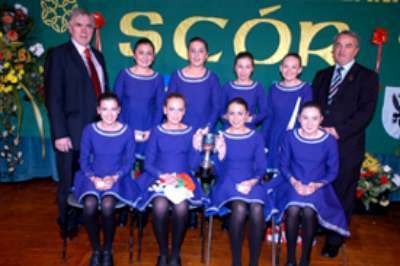 The long wait is or for Millstreet on capturing its first provincial set dancing title in the club’s long illustrious history in Scór. 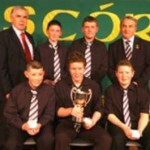 That came about following Millstreet’s outright triumph in the Munster Scór na nOg Finals in Mallow. Scenes of delirium saw Millstreet write another chapter into its history books after a brilliant performance in a hotly contested showpiece decider before a full house. After dominating divisional and county level over the past decade, Millstreet had yet to fulfil its reward of a Munster title. It came right on Sunday, Millstreet bouncing into the limelight to enjoy outright success from a team of Allanah Barry, Leanne Daly, Kayleigh Sheahan, Aideen Buckley, Emer Twomey, Muireann Murphy, Orla Kiely and Regina Lane. Their presentation of the Cavan Reel swept the boards much to the satisfaction of all concerned with the group particularly team manager Breeda Cremin. Success secures Millstreet a passage to the All Ireland final in Athlone next month. 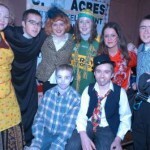 And well done to the Millstreet Novelty Act on a cast of Laura Dennehy, Jayme Linehan, Deidre Meade, Diarmuid Fraser, Cian Dennehy, Donal Linehan, Conor Linehan and Deidre McAulliffe who delivered another capable performance but had to give way to outright winners Borrisoleigh. The Duhallow Scor na Paistí finals go ahead in the Edel Quinn Hall, Kanturk on next Saturday in a programme underway at 6pm. Millstreet participated in the semi finals in Castlemagner last Saturday night and earned progress in a number of categories. At Instrumental music, Millstreet paraded their talents and qualified with a team of James Linehan, Darren Kiely, Shane Dineen, Bridelle and Billy Cronin. 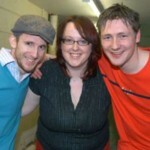 In solo singing, Maura Buckley advances as does Tadgh O’Sullivan in solo music. A Novelty Act team of Joanne O’Riordan, James O’Riordan, Daren Kiely, Cathal Crowley, Neidín Spillane, Ava Barry, Ellie Dineen and Leanne Smith enjoyed success. Continuing Millstreet’s progress was a set dancing line up of Katie Buckley, Aine McAulliffe, Leanne Murphy, Jessica Dunne, Conor Twomey, Darren Kiely, Donough Murphy and Patrick O’Callaghan. Two Millstreet teams goes forward to represent Cork in the Munster Scor na nOg Finals on next Sunday afternoon in Mallow Youth Centre. From the all ticket staging, the recent provincial semi finals saw capacity attendances enjoy quality fare in the cultural programmes. Millstreet are doubly represented per a set dancing team of Allanah Barry, Leanne Daly, Kayleigh Sheahan, Aideen Buckley, Emer Twomey, Muireann Murphy, Orla Kiely and Regina Lane. 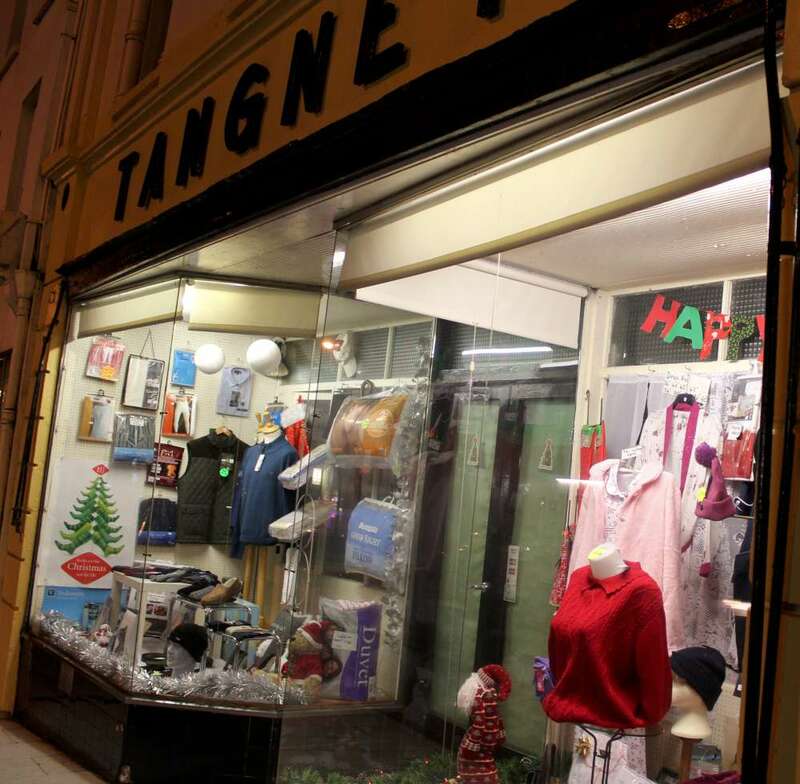 Also competing are a novelty act whose cast includes Laura Dennehy, Jayme Linehan, Deidre Meade, Diarmuid Fraser, Cian Dennehy, Donal Linehan, Conor Linehan and Deidre McAulliffe. Best wishes are extended to both Millstreet teams who along with Boherbue and Newmarket carry Duhallow hopes. Millstreet gathered two terrific wins in the Cork County Scór na nOg Finals hosted in the Eire Og GAA Pavillion, Ovens last Saturday night. Clubs from across the county participated in the showpiece decider and the capacity attendance enjoyed quality fare in the culturally strong proceedings. Millstreet retained their county title in the Set Dancing category and in doing so, Millstreet gathered their tenth consecutive county triumph in this exciting discipline. Earning success for Millstreet were Allanah Barry, Leanne Daly, Kayleigh Sheahan, Aideen Buckley, Emer Twomey, Muireann Murphy, Orla Kiely and Regina Lane. 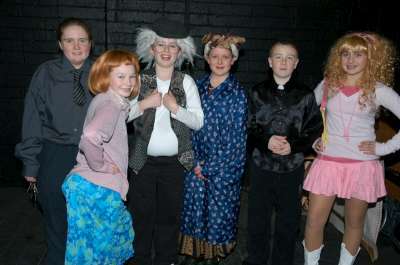 For good measure, Millstreet added the novelty act class from a cast of Laura Dennehy, Jayme Linehan, Deidre Meade, Diarmuid Fraser, Cian Dennehy, Donal Linehan, Conor Linehan and Deidre McAulliffe. Both the triumphant Millstreet novelty act and set dancers go forward to represent Cork in the Munster Scór na nOg semi finals in the Millstreet GAA Community Hall on this Saturday night with a full programme underway at 7pm. County champions from Cork, Limerick and Kerry compete in a mixed programme of dancing, music, song, recitation, novelty act and question time. Apart from the Millstreet representation, Newmarket sisters Sinéad and Eimear Guiney compete as do Boherbue in the instrumental music category. All the best in cultural entertainment is promised on the staging of the Cork County Scór na nOg finals in the Eire Og GAA Pavillion, Ovens on this Saturday evening(Dec 29) with a full programme underway at 6.00pm. Qualifiers from throughout the county compete in a mixed programme of dancing, music, song, recitation, novelty act and question time. Carrying Millstreet’s hopes at both a novelty act and set dancing contingent. Partaking in the novelty act are Laura Dennehy, Jayme Linehan, Deidre Meade, Diarmuid Fraser, Cian Dennehy, Donal Linehan, Conor Linehan and Deidre McAulliffe. 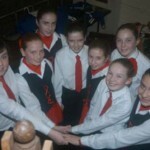 The set dancing group are Allanah Barry, Leanne Daly, Kayleigh Sheahan, Aideen Buckley, Emer Twomey, Muireann Murphy, Orla Kiely and Regina Lane. Best wishes are extended to the participating teams. 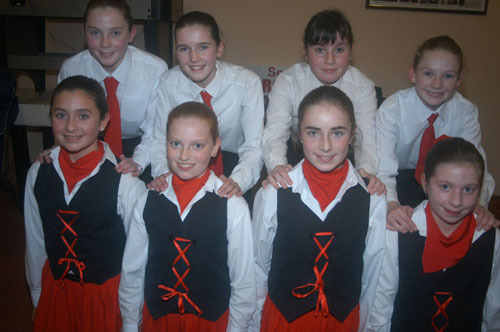 Millstreet gained a rewarding outing to the Duhallow Scór na nOg Finals hosted in the Edel Quinn Hall, Kanturk. 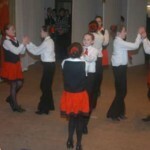 At the completion of the competitive affair, Millstreet completed a great win in both the novelty act and set dancing. 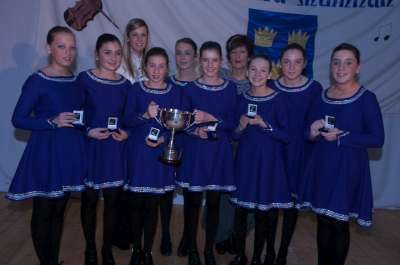 The Millstreet set dance took victory from a team of Allanah Barry, Leanne Daly, Kayleigh Sheahan, Aideen Buckley, Emer Twomey, Muireann Murphy, Orla Kiely and Regina Lane. Also sampling success were a novelty act titled “Up for the Match” from a cast of Laura Dennehy, Jayme Linehan, Deidre Meade, Cian Dennehy, Donal Linehan, Conor Linehan, Deidre McAulliffe and Diarmuid Fraser. Taking runner up position in the instrumental music group were Evony Costelloe, Donal Linehan, Jayme Linehan, Conor Linehan and Miriam O’Sullivan. Also taking second place were a Ballad Group comprising Laura Dennehy, Orla Kiely, Deidre McAulliffe, Maura Buckley and Deidre McAulliffe. Tadgh O’Sullivan added runner up position in the solo music category. The triumphant Millstreet set dancers and novelty act go forward to the Cork County Semi Finals in Coachford on this Sunday commencing at 5.30pm. A Millstreet team of Jerry Doody, Pat Sheehan and John Tarrant took runner up placing to Rathmore in the Question Time at the Munster Senior Scor Finals hosted in the INEC, Killarney last Saturday night. 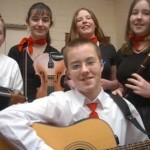 The Munster Scór Sinsear Finals hosting in the INEC, Killarney on Saturday night are calculated to delight enthusiasts in the provincial showpiece of cultural talent at its finest. representing GAA clubs showcase music, song and dance amidst competition at its keenest in the presence of a large attendance. 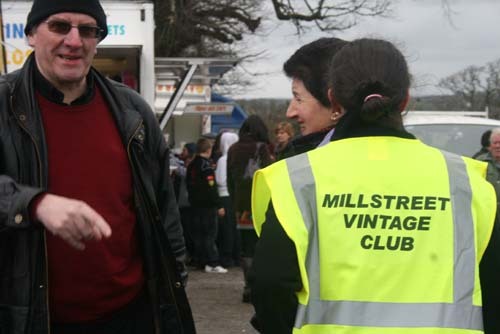 Millstreet hopes rest on an involvement per a question time team of John Tarrant, Jerry Doody and Pat Sheehan. James Linehan, Colm Fraser and Tadgh O’Sullivan. Laura Dennehy added runner up position in solo singing while a question time team of Aideen Buckley, Maura Buckley and Kellie Murphy gained third place. Elsewhere, Millstreet took runner up place in set dancing from a team of Aine McAulliffe, Katie Buckley, Jessica Dunne, Leanne Murphy, Conor Twomey, Darren Kiely, Patrick O’Callaghan and Donough Murphy. Millstreet enjoyed a productive outing at the Cork County Senior Scor Finals hosted in Watergrasshill Community Centre and returned home with an outright win and a runner up position. A Question Time team of John Tarrant, Jerry Doody and Pat Sheehan retained their county title for the tenth consecutive year and following on earlier success in scor na nog, Millstreet have collected a county accolade for the 23rd consecutive season. Collecting runner up position were a set dancing group of Gretta Lane, Maria Kelleher, Emma Coleman, Daphne O’Connor, Ciara Hickey, Elaine Cleary, Linda and Maria Coleman. 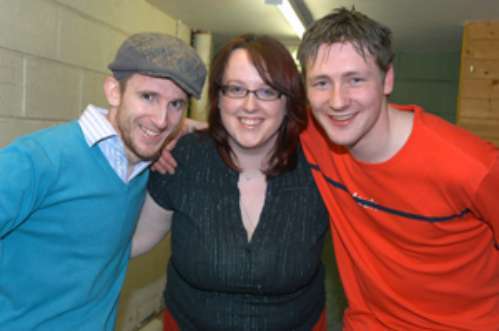 Stephen O’Riordan competed in recitation and he joined Rebecca Enright and Mark Ellis in the novelty act. The Munster Senior Scor semi finals produced highly entertaining fare in Millstreet GAA Community Hall last Saturday night with county champions from Kerry, Waterford and host county Cork parading their cultural talents in the presence of a capacity attendance. Cork teams carrying a strong Millstreet representation fared well in the keen competition for a place in the provincial finals. Millstreet enjoyed success in the question time team of John Tarrant, Jerry Doody and Pat Sheehan progressing to the Munster Finals in Killarney on Saturday, March 31. 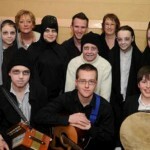 Millstreet dominated The Kanturk Credit Union Duhallow Scór Sinsear Finals on a staging in Dromtariffe Community Centre. Participating clubs from Freemount, Lismire, Boherbue, Millstreet and Rockchapel put forward their cultural talent to an appreciative attendance. Millstreet gathered four outright titles to complete a rewarding outing. Stephen O’Riordan collected first place in recitation and he was joined by Rebecca Enright and Mark Ellis to add the novelty act category. Millstreet added a win in the question time per John Tarrant, Liam Flynn and Pat Sheehan. Gretta Lane, Maria Kelleher, Julie O’Leary, Daphne O’Connor, Ciara Hickey, Elaine Cleary, Linda O’Mahony and Maria Coleman. The Millstreet contingent progress to the county final in Watergrasshill on Sunday night. Millstreet’s consistent efforts gathered best club at the Cork County Scór na bPaistí Finals in the Eire Og GAA Pavillion, Ovens on Sunday last. A novelty act group of Laura Dennehy, Orla Kiely, Alanna Barry, Cian Dennehy, Donal Lenihan and Elmarie Cronin.put together a splendid and energetic performance to take second position amidst competition at its keenest. Also participating were Orla Kiely and Donal Linehan in solo singing and recitation in addition Additionally, an instrumental music group of Diarmuid Fraser, Alanna Barry, Donal Linehan, Cian Dennehy and Laura Dennehy enjoyed the occasion. 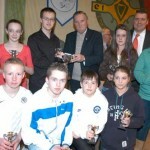 Such was the level of interest and involvement by Millstreet, the club collected the best overall club award. The Duhallow Senior Scór Finals take place in Dromtariffe Hall on this Friday night with the programme underway at 8.00pm. 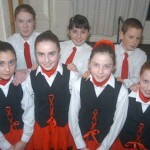 A Millstreet set dancing team delivered a brave yet unsuccessful bid on representing Cork in the Munster Scor na nÓg Finals in Mallow Youth Centre last Sunday. Clubs from across the province participated in the popular showpiece decider and a capacity attendances enjoyed quality fare in the culturally strong proceedings. Carrying Millstreet hopes were a dedicated team of Allana Barry, Leanne Daly, Kayleigh Sheahan, Aideen Buckley, Emer Twomey, Muireann Murphy, Orla Kiely and Regina Lane. Congratulations are extended to Boherbue on their success. Millstreet enjoyed a podsitive outing in the Cork County Scór na bPaistí Finals hosted in the Eire Og GAA Pavillion, Ovens last Friday night. Orla Kiely and Donal Linehan sampled success in solo singing and recitation. 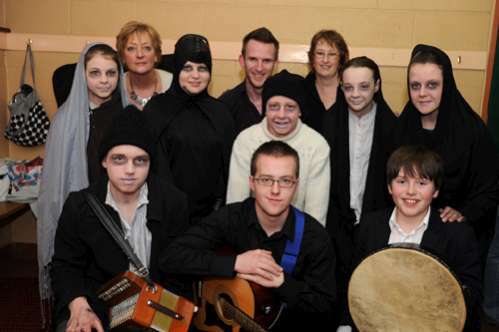 An instrumental music group of Diarmuid Fraser, Alanna Barry, Donal Linehan, Cian Dennehy and Laura Dennehy enjoyed a triumph as did a novelty act cast of Laura Dennehy, Orla Kiely, Alanna Barry, Cian Dennehy, Donal Lenihan and Elmarie Cronin. The Millstreet winners progress to represent Duhallow in the county final in the Eire Óg GAA Pavillion, Ovens on this Sunday commencing at 2.30pm. 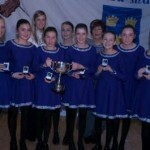 Millstreet dominated the Duhallow Scór na bPaistí Finals hosted in the Edel Quinn Hall, Kanturk. An incredible five divisional titles were lifted to confirm the excellent cultural talent on parade. 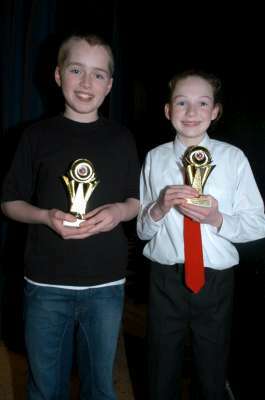 Orla Kiely and Donal Linehan took individual honours in solo singing and recitation. 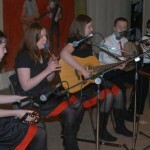 An instrumental music group of Diarmuid Fraser, Alanna Barry, Donal Linehan, Cian Dennehy and Laura Dennehy added the accolades as did a Ballad group of Orla Kiely, Alanna Barry, Laura Dennehy, Donal Lenihan, Cian Dennehy. 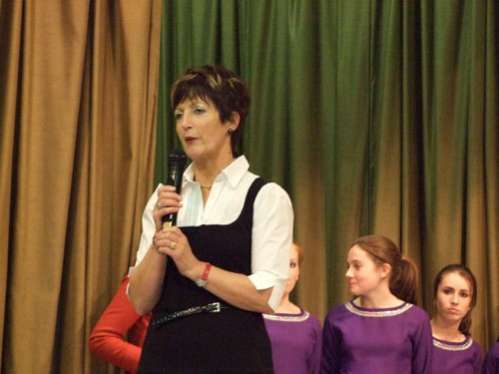 Taking runner up position were the Millstreet set dancers and Regina Lane in solo singing. The Millstreet winners progress to represent Duhallow in the county semi finals in Ovens on this Friday night commencing at 7.30pm. A Millstreet set dancing team goes forward to represent Cork in the Munster Scor na nOg Finals on this Sunday afternoon in Mallow Youth Centre. From the all ticket staging, the recent provincial semi finals saw capacity attendances enjoy quality fare in the cultural programmes. 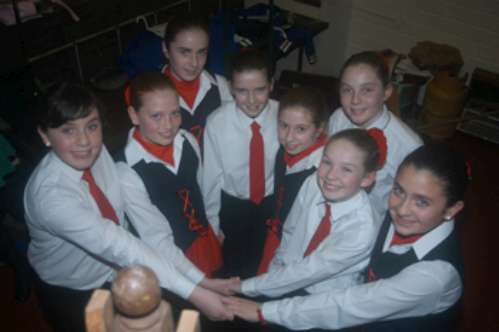 Carrying Millstreet hopes are a set dancing team of Allana Barry, Leanne Daly, Kayleigh Sheahan, Aideen Buckley, Emer Twomey, Muireann Murphy, Orla Kiely and Regina Lane. Best wishes are extended to the Millstreet team along with the Boherbue and Newmarket who carry Duhallow hopes. Millstreet were represented in the Munster Scór na nOg Semi Finals in Riverstick Community Centre per a set dancing team of Allanah Barry,Leanne Daly,Kayleigh Sheahan, Aideen Buckley, Emer Twomey, Muireann Murphy, Orla Kiely and Regina Lane. An outstanding performing performance earned Millstreet advancement to the provincial final in Mallow Youth Centre on Sunday, February 4. Millstreet participate in the Duhallow Scór na bPaistí semi finals in Castlemagner on next Saturday night commencing at 7pm. 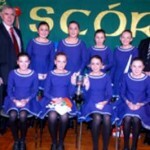 Millstreet gathered a terrific win in the Cork County Scór na nOg Finals hosted in the Eire Og GAA Pavillion, Ovens. Clubs from across the county participated in the showpiece decider and the capacity attendance enjoyed quality fare in the culturally strong proceedings. Millstreet retained their county title in the Set Dancing category and in doing so, Millstreet gathered their ninth consecutive county triumph in this exciting discipline. Earning success for Millstreet were Allanah Barry, Leanne Daly, Kayleigh Sheahan, Aideen Buckley, Emer Twomey, Muireann Murphy, Orla Kiely and Regina Lane. The triumphant Millstreet set dancers go forward to represent Cork in the Munster Scór na nOg semi finals in Riverstick Community Centre next Sunday with a full programme underway at 2.30pm. County champions from Cork, Waterford and Kerry compete in a mixed programme of dancing, music, song, recitation, novelty act and question time. 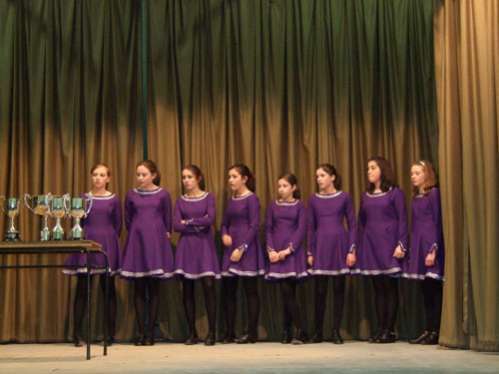 Millstreet carry Cork hopes in Set Dancing along with Newmarket’s Sinéad Guiney in the solo singing category while Boherbue compete at instrumental music and question time. All the best in cultural entertainment is promised on the staging of the Cork County Scór na nOg finals in the Eire Og GAA Pavillion, Ovens on Thursday, December 28 with a full programme underway at 6.00pm. Qualifiers from throughout the county compete in a mixed programme of dancing, music, song, recitation, novelty act and question time. Carrying Millstreet’s hopes at Set Dancing are Allanah Barry, Leanne Daly, Kayleigh Sheahan, Aideen Buckley, Emer Twomey, Muireann Murphy, Orla Kiely and Regina Lane. Best wishes are extended to the participating ladies. 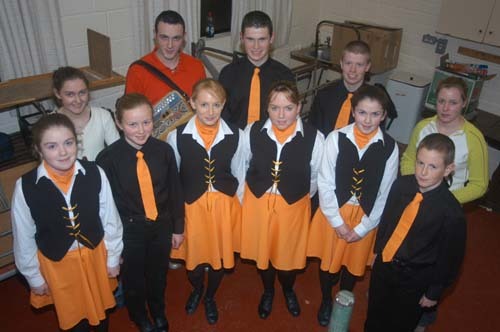 Millstreet gained a rewarding outing to the Duhallow Scor na nOg Finals hosted in the Edel Quinn Hall, Kanturk last Saturday night. At the completion of the competitive affair, Millstreet completed a great win in set dancing. Millstreet took victory from a team of Allanah Barry, Leanne Daly, Kayleigh Sheahan, Aideen Buckley, Emer Twomey, Anna Jean O’Reilly, Orla Kiely and Regina Lane. Taking runner up position in the instrumental music group were Evony Costelloe, Donal Linehan, Jayme Linehan, Deidre Meade and Miriam O’Sullivan. 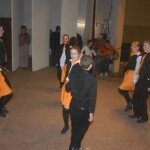 Donal Linehan added runner up position in the solo music category. The triumphant Millstreet set dancers go forward to the Cork County Semi Finals in Coachford on Saturday night commencing at 8pm. 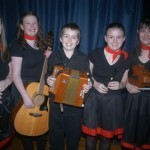 Millstreet competed in the Duhallow Scór na nOg semi finals in Newmarket and Lismire last weekend. From a full programme of activity hosted in Newmarket, participating in solo singing were Niamh Murphy and Deidre McAulliffe. The Instrumental Music team consisted of Donal Linehan, Deidre Meade, Jayme Linehan, Evony Costelloe and Miriam O’Sullivan. 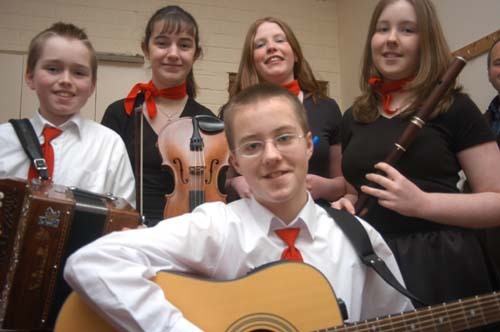 A participating ballad group comprised of Jayme Linehan, Niamh Murphy, Deidre McAulliffe and Helen O’Keeffe while Conor Linehan was an absentee owing to an appendix operation. 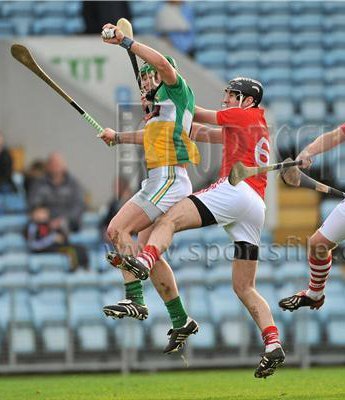 Best wishes are extended to Conor who hopefully will make it back for next week’s divisional final. Elsewhere Deidre Meade, Donal and Jayme Linehan participated in question time as did Miriam O’Sullivan, Niamh Murphy and Deidre McAulliffe. A newly introduced solo singing category featured Donal Linehan and Miriam O’Sullivan. The second semi final of Scór na nOg operated in Lismire on Sunday night with Millstreet parading their talents in set dancing. Representing Millstreet were Allanah Barry, Leanne Daly, Kayleigh Sheahan, Aideen Buckley, Emer Twomey, Muireann Murphy, Orla Kiely and Regina Lane. The Millstreet qualifiers advance to the Duhallow finals scheduled for Saturday, December 2 in the Edel Quinn Hall, Kanturk commencing at 6.30pm. The Munster Senior Scor semi finals produced highly entertaining fare in Cashel with county champions from Cork, Waterford and host county Tipperary parading their cultural talents in the presence of a capacity attendance. Cork teams carrying a strong Millstreet representation fared exceptionally well in the keen competition for a place in the provincial finals. Millstreet enjoyed success in the question time team of John Tarrant, Jerry Doody and Pat Sheehan progressing to the Munster Finals in Killarney on Sunday, April 2nd. Millstreet enjoyed a productive outing at the Cork County Senior Scor Finals hosted in the Eire Og GAA Pavillion, Ovens last Sunday night and returned home with an outright win and a runner up position. A Question Time team of John Tarrant, Jerry Doody and Pat Sheehan retained their county title for the ninth consecutive year and following on earlier success in scor na nog, Millstreet have collected a county accolade for the 22nd consecutive season. 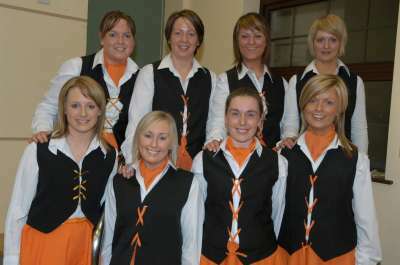 Collecting runner up position were a set dancing group of Joanne Cullinane, Catriona Cullinane, Emma Coleman, Breda Cremin, Sinéad Flahive, Daphne O’Connor, Elaine Cleary and Chris Hickey. 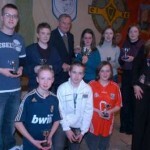 The Millstreet question time team progresses to the Munster semi final in Cashel on Sunday, March 19. Millstreet gathered runner up position in the Cork County Scór na bPaistí Finals in the Eire Og GAA Pavillion, Ovens on Sunday last. A Set Dancing group of Leanne Daly, Alanna Barry, Kayleigh Sheahan, Anna Jean O’Reilly, Regina Lane, Eimear Twomey, Diarmuid Fraser and Eric Hickey put together a splendid and energetic performance to take second position amidst competition at its keenest. The Duhallow Senior Scór Finals take place in the Pearse Memorial Hall on this Thursday night with the programme underway at 8.00pm. 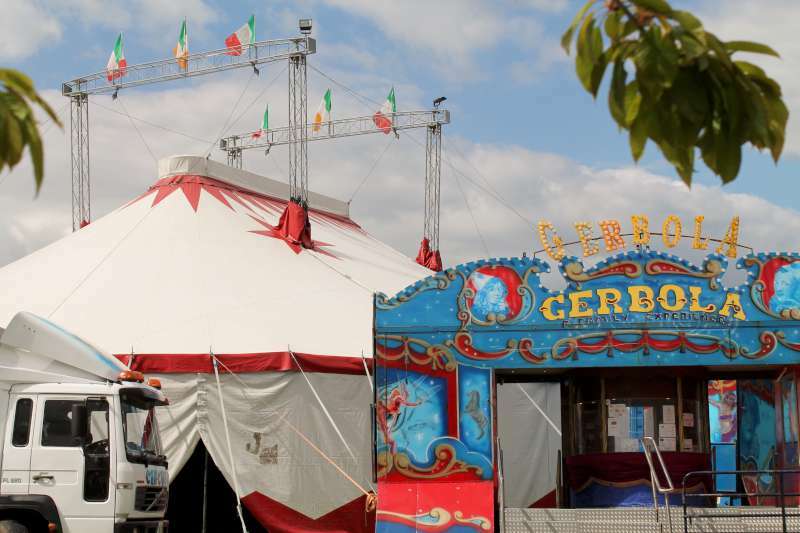 The staging is sponsored by Kanturk Credit Union and Millstreet will participate in a cross section of activity with supporters invited to attend and support the live entertainment on stage. Millstreet bid for honours in the Cork County Scór na bPaistí Finals in the Eire Og GAA Pavillion, Ovens on Sunday next with proceedings underway at 2.30pm. 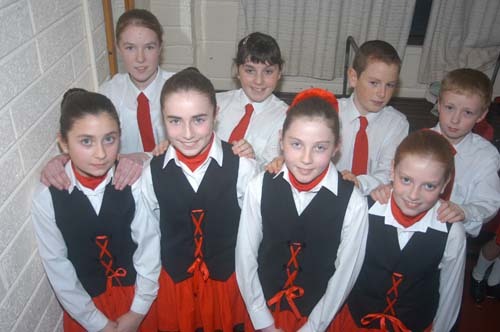 A Set Dancing group of Leanne Daly, Alanna Barry, Kayleigh Sheahan, Anna Jean O’Reilly, Regina Lane, Eimear Twomey, Diarmuid Fraser and Eric Hickey carry Millstreet hopes following a semi final hosted at Watergrasshill. 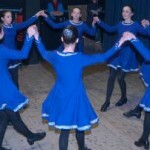 A Millstreet set dancing team delivered a brave yet unsuccessful bid on representing Cork in the Munster Scor na nOg Finals in Cork City Hall, Cork. Clubs from across the province participated in the popular showpiece decider and a capacity attendances enjoyed quality fare in the culturally strong proceedings. Carrying Millstreet hopes were a dedicated team of Olivia Roche, Siobhain Buckley, Ciara Hickey, Sheilah O’Riordan, Gretta Lane, Daniel Roche and Shane O’Riordan. Millstreet teams participated in the Duhallow Scór na bPaistí semi finals in Banteer on Saturday night last and progress to this Friday night’s divisional final in the Edel Quinn Hall, Kanturk with a full programme underway at 7.30pm. At Instrumental music, Millstreet paraded their talents and qualified with a team of Eveny Costelloe, Donal Lenihan, Deidre McAulliffe, Anna Jean O’Reilly and Cian Dennehy. Meanwhile Orla Kiely advances in solo singing while Orla teamed up with Deidre McAulliffe, Laura Dennehy, Alanna Barry and Cian Dennehy to qualify in the Ballad Group. Two Millstreet teams were successful in Set Dancing, a Millstreet Football of Laura Dennehy, Deidre McAuliffe, Aideen Buckley, Jennifer Murphy, Maura Buckley, Eveny Costelloe, Orla Kiely and Muireann Murphy join a Millstreet Camoige team of Leanne Daly, Alanna Barry, Kayleigh Sheahan, Anna Jean O’Reilly, Regina Lane, Eimear Twomey, Diarmuid Fraser and Eric Hickey. Also participating for Millstrreet in the instrumental music were a football team of James Spillane, Tadgh O’Sullivan, Jennifer Murphy, Niamh Murphy and Diarmuid Murphy. 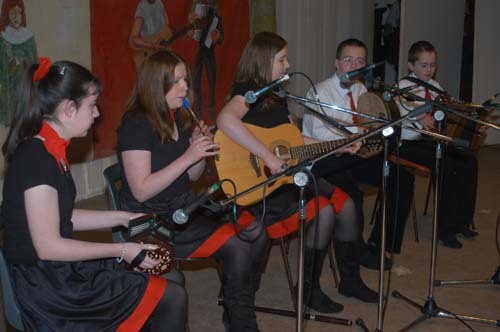 They were joined by a Camoige quintet featuring Nadine Spillane, Elmarie Cronin, Aideen Buckley, Emma Hickey and Aisling Dennehy. 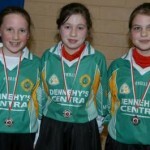 Laura Dennehy participated in solo singing while also competing were a Camoige set dancing team of Jessica Dunne, Aine McAulliffe, Kate Buckley, Leanne Murphy, Donough Murphy, Jordon Cooney, Darren Kiely and Conor Twomey. Millstreet gathered a terrific win in the Cork County Scór na nOg Finals hosted in Watergrasshill Community Centre. Clubs from across the county participated in the showpiece decider and the capacity attendance enjoyed quality fare in the culturally strong proceedings. Millstreet retained their county title in the Set Dancing category and in doing so, Millstreet gathered their eighth consecutive county triumph in this exciting discipline. Earning success for Millstreet were Ciara Hickey, Olivia Roche, Greta Lane, Sheilah O’Riordan, Daniel Roche, Siobháin Buckley, Eric Hickey and Shane O’Riordan. 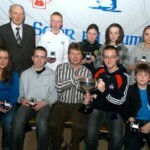 County Scór Na óg finals. Elsewhere Millstreet secured a runner up position in the instrumental music category per a team of Conor Linehan, Donal Linehan, Jayme Linehan, Deidre Meade and Miriam O’Sullivan. The triumphant Millstreet set dancers go forward to represent Cork in the Munster Scór na nOg semi finals in Tallow Community Centre, Waterford on this Saturday night with a full programme underway at 6pm. 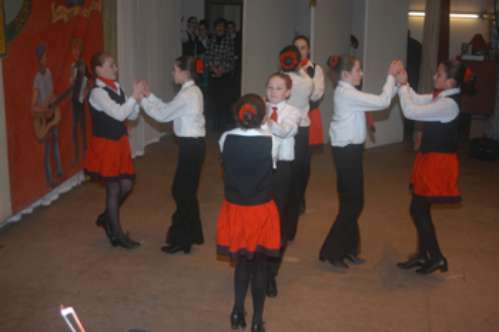 County champions from Cork, Waterford and Tipperary compete in a mixed programme of dancing, music, song, recitation, novelty act and question time. 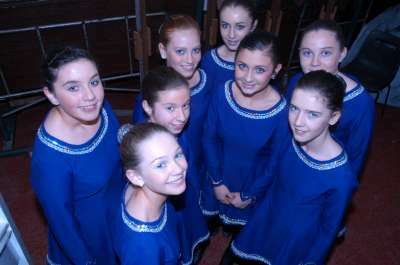 Millstreet carry Cork hopes in Set Dancing along with Newmarket’s Sinéad Guiney in the solo singing category.